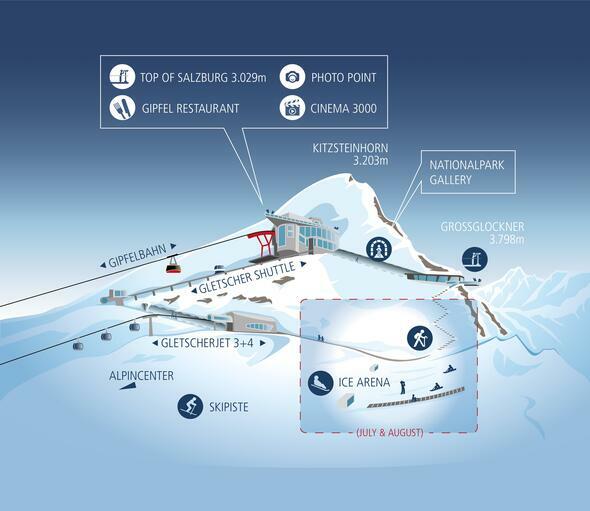 Feel unlimited freedom on wide glacier slopes in natural snow at the Kitzsteinhorn - and this from autumn already! 100% snow-reliability, many freeride routes, snow parks and programmes for ski tourers and cross-country skiers make the glacier ski resort an incredibly diverse destination for all winter sportsmen and women. The Maiskogel is the central family mountain of the destination. You get to the gentle wide slopes of the Maiskogel directly from Kaprun and enjoy leisurely days of skiing with quaint huts. Beginners and children start at the Lechnerberg - the beginners' area for skiers and snowboarders.